"Yes, it's very cold in here...I promise!" When did the modern western culture start? Was it at the Age of Revolutions? Or maybe way back to the fall Roman Empire? Or could it be that it started during the early times of the Greek democracy? Many historians have agreed and disagreed on this topic but for me, the modern western culture started with the Renaissance (Re-birth in French), which began the transition from the Middle Ages to the modern civilization that we enjoy to this day. The 14th century marked the end of the dark ages and shone the light to a new era, the era of self-awareness. The era of the Renaissance. 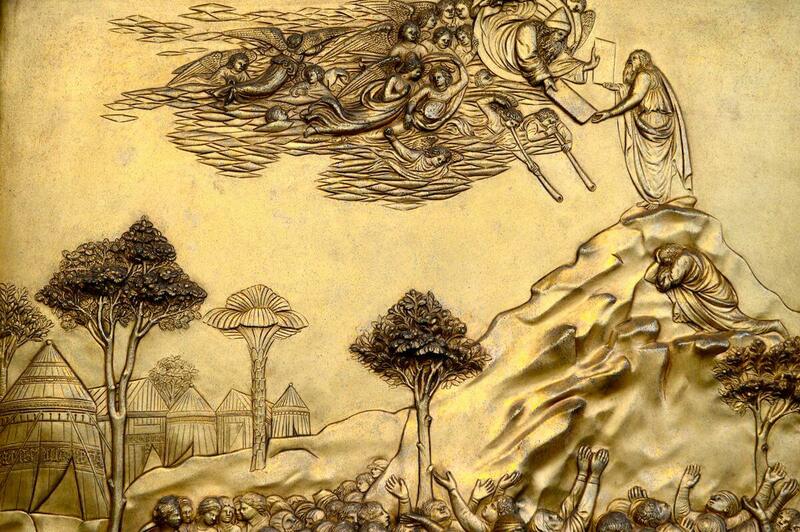 It all began in the 14th century in an Italian city called Florence (or Firenze, as Italians call it), it was truly a dark time of Europe, having barely survived the Black Death and the latest attempts of the Crusaders to reconquer the Holy Land. It was actually because of the Crusades that the Greek and Byzantine arts began to influence the work of future Renaissance Masters like Michelangelo, Botticelli and Donatello as well as to elevate the imagination and refined taste of most famous patrons of the arts, the Medici family. Humanism, religion, science and arts, the four cornerstones of the Renaissance man, it was not uncommon for nobles and kings to be extremely educated in these four aspects, leading to good and effective leaders who heavily invested in being patrons to the artists who would eventually create Italian Masterpieces that prevail to this day such as the Sistine Chapel, the David, the Birth of Venus and many other more that now reside in the world’s most famous museums and churches. This is the magic of Florence, a city so vibrant in art that it has the power to inspire creative people from all different backgrounds. 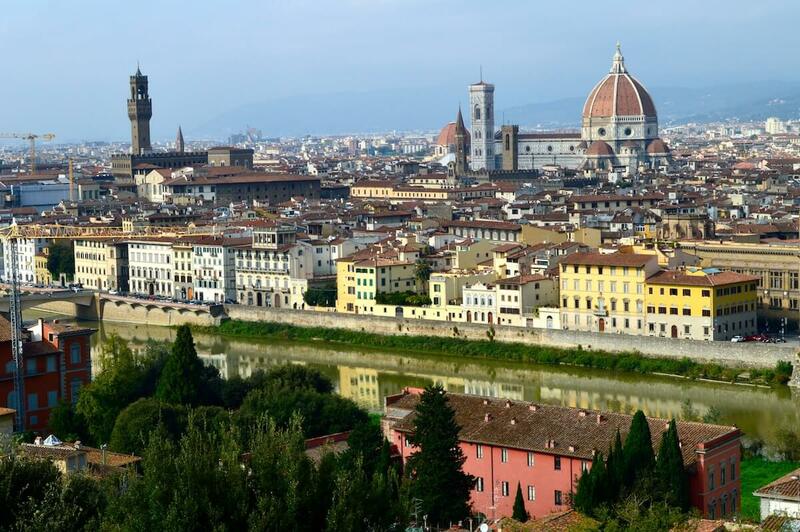 If you ask me about my favorite city in Europe, the answer will always be Florence. Moses and the 10 commandments. Florence. 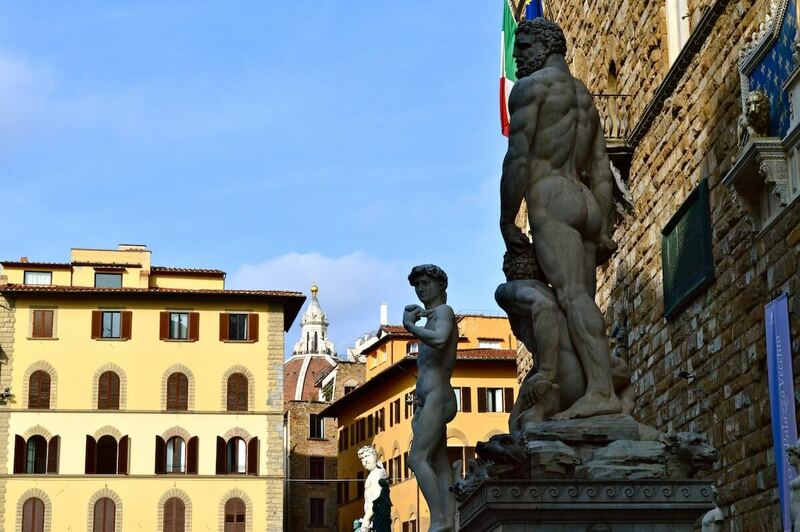 The historical center of Florence is one of the most preserved ones of all Europe. You can actually walk trough its streets and recreate scenes from movies and video games that take place during the Renaissance, the most recent one being Assassin’s’ Creed II. Sure, you can find a Zara clothing store as well as a Hard Rock Cafe in the middle of the historical center but still, the feel of the buildings and the streets form a wonderful experience. 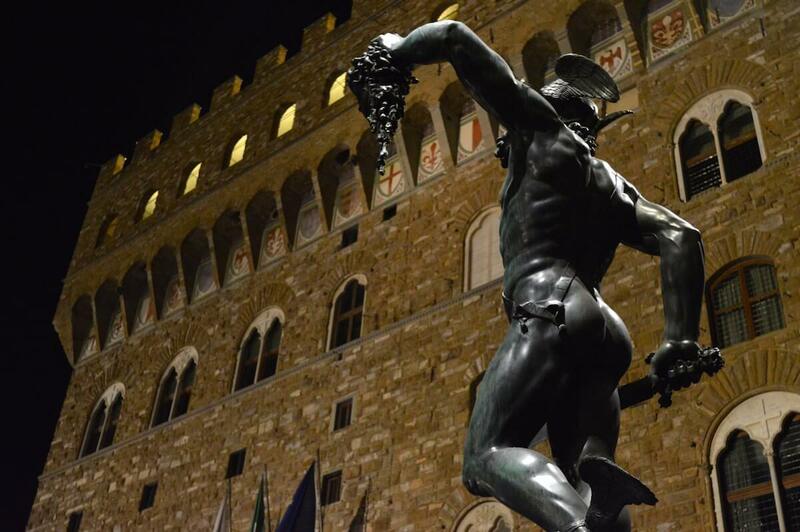 I have visited Florence thrice already and I’m aching with anticipation to visit it again. The first time it was only a short day-trip on a romantic trip that I took during easter 2012 with my then-girlfriend, we didn’t have enough time on our schedule (Verona-Rome-Florence-Venice) so we opted for only spending one day in this marvelous city. 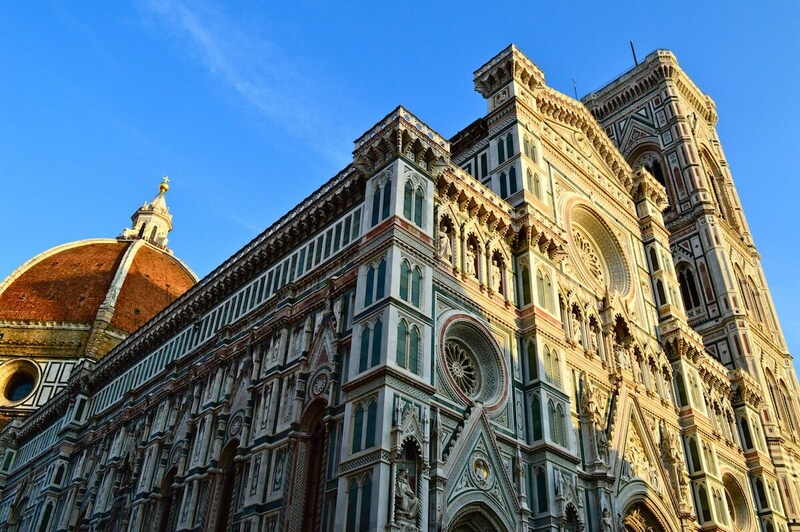 The second time I visited, it was late summer and I was accompanied by my Meximom and two aunts, we ended up staying at a guest-house right next to one of Florence’s gems: The Basilica Santa Maria di Fiore, commonly known as Il Duomo (in latin, the House of God). My third and current time? This time I spent it on a very cheap hostel called Maison located in the heart of the historical center where I met other amazing travelers with whom I explored this beautiful city once again and took tons of awesome selfies. If you love exercise (and nice views of the city), it is an excellent idea to climb to the top of both the Duomo AND the tower right next to it, called Giotto’s Campanile, although probably not in the same day. The interior of the Basilica might be unimpressive for people used to visiting Italian churches richly decorated with gold and silver relics, however, there is a reason for that, the bare-bones look is meant to symbolize humbleness, encouraging people to focus on God alone and not on extravagant decorations. 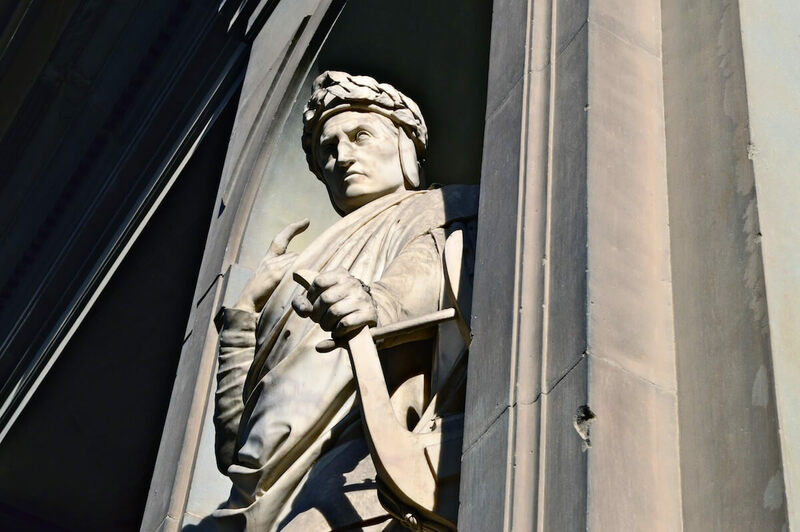 What you can do find, however is Domenico di Michelino’s masterpiece, La commedia illumina Firenze, portraying Florence’s most prominent son, Dante Alighieri. Florence’s museums and galleries are so extensive that they deserve a separate entry detailing each one of them (as well as providing tips as to how to avoid the long queues and get special discounts), so for now, I will focus on the churches and plazas of the historical center of this city. 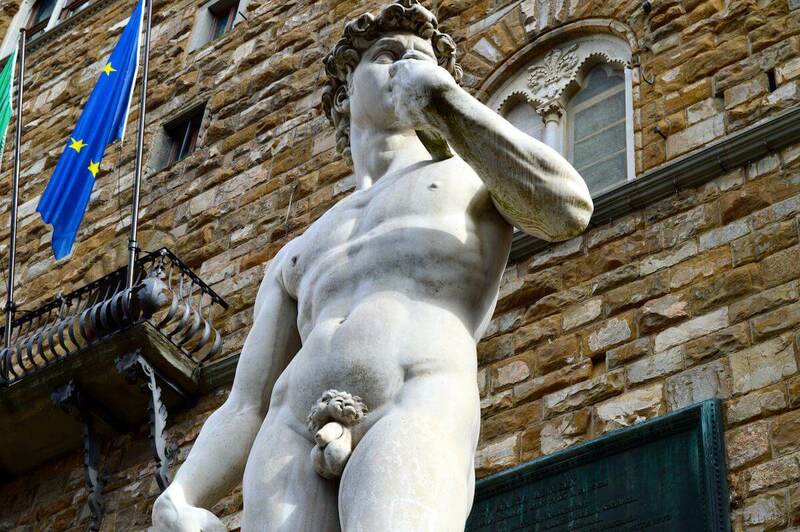 The heart of Florence is without any doubt the Piazza della Signoria, featuring dozens of replicas (and originals too) of sculptures from the Renaissance, outside of the Palazzo Vecchio you can find an exact replica of Michelangelo’s David. In the Loggia dei lanzi, located right next to it, there are many sculptures inspired by the ancient Greek and Roman marble ones. However, just because they are replicas doesn’t mean that you can touch them, there’s always a security guy shouting at tourists who want to take their picture on top of a Medici lion. 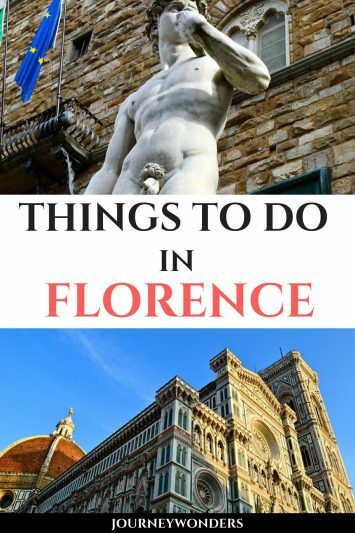 The line at some of Florence’s most famous museums can be insane during the summer so I really recommend you to book online in order to skip the line at the Uffizi Gallery, the Accademia, the Bargello Museum and more. 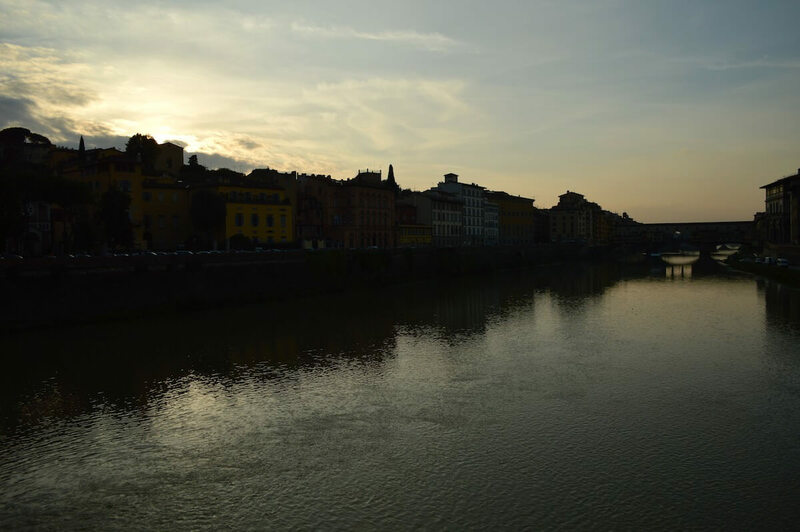 If you want to enjoy a nice sunset, you can go to the Ponte Vecchio, an ancient bridge that crosses the Arno river and connects the west and east sides of the historical center of Florence, on top of the bridge you can find lots of expensive jewelry stores. 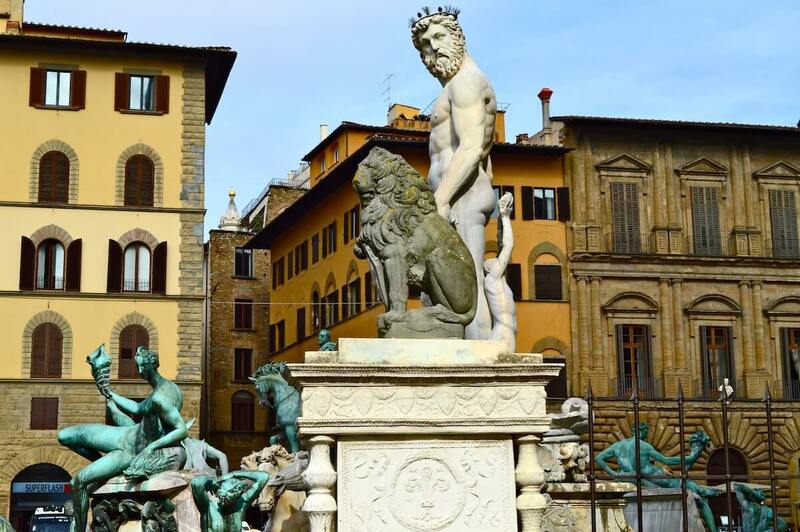 Have you ever experienced the Renaissance in Florence? Would you like to? Share your thoughts and let me know what you think! Myths and Facts About London: Is It Expensive? Love Florence! So manageable. I used to. Go there on the train from Rome for the day ! The trains are great. We tend to rent cars since the architect always want to see architecture. The center of the city is fine for the very old sites but the contemporary is out in the outskirts and not accessible by walking at least by me! I particularly love the bullet train between London and Paris. You can go to one or the other just for lunch…I guess that would be Paris!